Homeowners considering installing a swimming pool before next summer should ideally first give thought to what size and shape they’re after, the features and equipment they’d like included and ultimately how they see the new swimming pool integrating into their overall living space. Beyond this, there are also a myriad of style and functional choices to be made in collaboration with your pool designer or landscape architect. 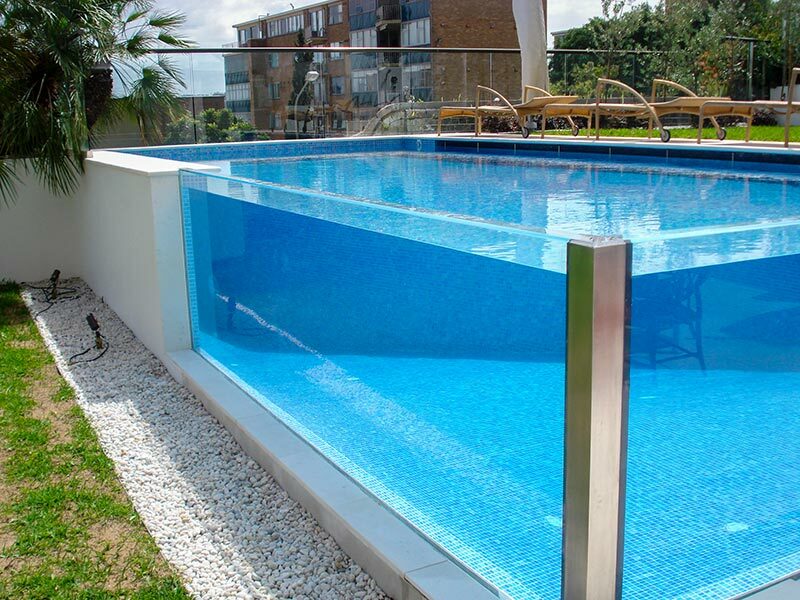 What are the current swimming pool trends? By taking a little time to understand current swimming pool trends and outdoor entertaining styles you will be well placed to get a pool you’ll love from day one, as well as make the right decisions for your home, now and into the future. Crystal Pools recommends, “It’s a good idea for homeowners to have their own basic ideas on how they want the overall outdoor environment to look and function.” Formulating these ideas can be done at the same time as considering the fundamental aspects of the pool design. All it takes is a bit of forward thought with regard to foot traffic, garden space, dining vs. lounging areas and lighting design. “Helping to coordinate the design of your total outdoor space can save you time and cost in the long term,” says Sales Manager, Andrew Rothery. Lighting can play a critical role in setting mood and helps to create a wonderful background for entertaining. Rather than light the entire space with a single light, a simple yet effective lighting design can be achieved with a mixture of pool, dining and ambient lighting. 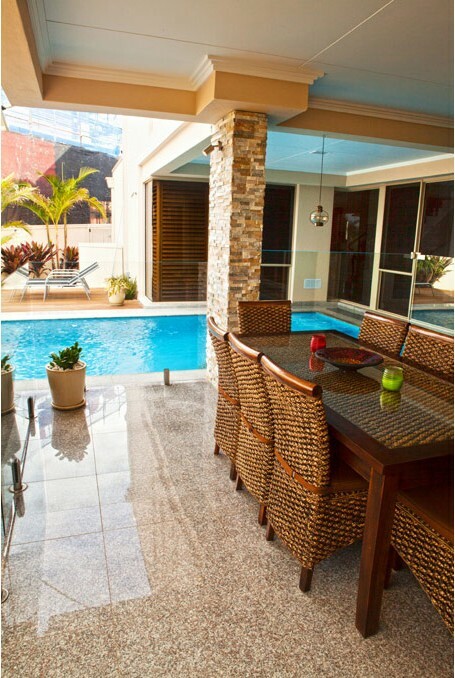 Sometimes there’s not enough space to have a separate alfresco dining area and lounging area so it’s important to consider a layout that achieves multiple uses from the one space adjoining the pool. Also known as Wet Shelves, Baja Ledges and Sun Shelves, more homeowners are adding a ledge, or shallow area, to the pool that’s around 20cm deep. Normally just at the entrance of the pool. Not only are they a great launching pad for the kids but provide a place where you can cool down and relax without completely submerging yourself in the water. They also have the added benefit of adding a ‘resort-style’ experience to your backyard. 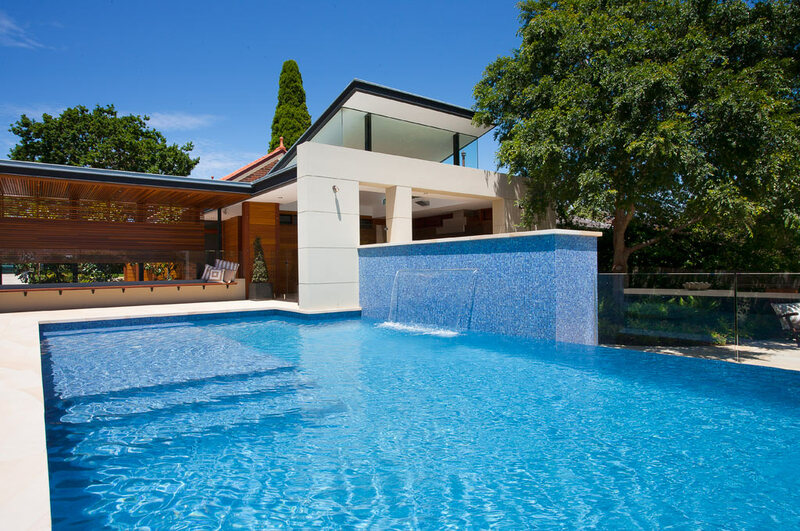 A continuing trend amongst homeowners is the desire to incorporate a water feature in their pool to; increase the visual appeal of the swimming pool, provide a calming soundscape, as well provide an interesting focal point of playful moving water. Crystal Pools are increasingly being requested to install more modern water features such as LED illuminated water spouts, deck jets and swim jets. “An emerging trend we’re observing is homeowners requesting the use of crystal or glass tiles as interior linings. The translucent nature of the tile creates an iridescent feel that complements more modern swimming pool styles,” said Andrew.